Belviq was approved by the Food and Drug Administration (FDA) in 2012, giving the nearly 1/3rd of Americans suffering from obesity an alternative aid for weight loss. 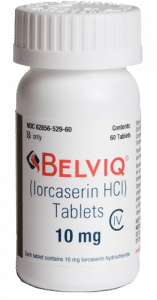 Belviq (lorcaserin) is a product of Arena Pharmaceuticals, and here are five things you need to know about it. Belviq works as an appetite suppressant. Specifically, it works by activating the brain receptors for serotonin. Serotonin is the neurotoxin that makes you feel satisfied after eating. Serotonin also plays an important role in determining mood. The working mechanism of many antidepressants is to prevent serotonin reuptake and to bathe the brain receptors. Arena says that they have taken this into account and that Belviq will only interfere with appetite-controlling serotonin so that it won’t have an effect on mood. Arena submitted clinical trial data to the FDA showing that around half of the dieters without Type 2 diabetes using the drug lost at least 5% of their starting weight – an average of 12 lbs – over a year. This was around twice as much as the 23% of subjects taking a placebo. Dieters are recommended to use the drug as part of a balanced diet and exercise regimen to get the best results. The labeling on Belviq also suggests dieters should stop using the drug if they don’t lose at least 5% of their body weight within 12 weeks. It is unlikely that continuing to take the medicine after this point will cause a significant amount of weight loss. FDA approved the use of Belviq for those who are classed as obese. In other words; those who have a BMI of over 30 – along with those who are classed as overweight (a BMI above 27) along with at least one health condition related to their weight including high blood pressure, Type 2 Diabetes, or high cholesterol. There are some side-effects to taking Belviq. The most common ones for people who don’t suffer from diabetes include dizziness, headaches, fatigue, dry mouth, nausea, and constipation. The side effects are a little different for patients who also have diabetes. These patients can expect side effects including low blood sugar, back pain, headaches, cough, and fatigue. There are some concerns that Belviq could have more severe side effects, including inducing tumors in animals and causing heart-valve defects in people. It wouldn’t be the first drug of its kind to do this either, as another serotonin-based weight loss drug – known as fenfluramine – was taken off of the market in 1997 out of fear that it could cause these effects. The FDA takes consumer safety very seriously and won’t let anything that doesn’t reach their strict standards reach the market. The FDA originally rejected the first request for approval Arena filed in 2010. The FDA asked Arena to provide more evidence that the drug was safe for use. The company did provide the FDA with new data that showed the drug would not cause heart problems in small doses – and it would only be prescribed in these small doses. Even so, Arena isn’t completely in the clear. The FDA may not require patients taking the drug to be monitored for damage to their heart valves, but they do require Arena to conduct six additional studies after the drug enters the market. These studies will be to determine whether the drug causes strokes or heart attacks in the patients taking it. Why Has it Been so Long Since a Weight Loss Drug Was Approved? If you keep up with the weight loss industry then you know it’s been quite some time since a drug like Belviq was approved by the FDA. Diet pills have a long history of safety issues, which has held the industry back. The last time a weight-loss medication was given FDA approval was in 1999 when Xenical (Orlistat) was approved. There have been a few drugs that tried to gain approval since then without success. One of these drugs was Meridia (silbutramine). This drug was taken out of the market after users of the medication showed an increased risk of heart problems. There were two other drugs – Qnexa and Belviq – that the FDA rejected over concerns about their safety. Manipulating the way in which the body controls weight can have long-term effects on the heart and the rest of the metabolic system, so the bar is set pretty high when it comes to proving that weight loss drugs and compounds are indeed safe and effective. Even when a weight-loss pill is approved and prescribed, the patient won’t be on it for very long and will be taken off if they don’t start losing weight. Last updated: March 7th, 2017. Bookmark the permalink. Why can Phentermine cause Insomnia? 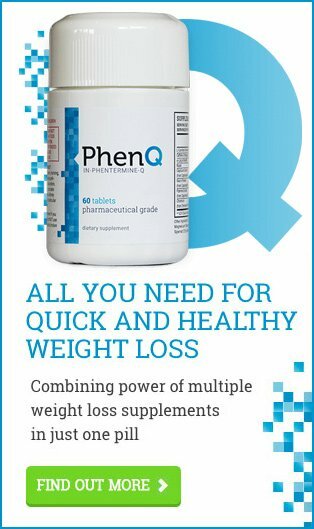 How to Increase the Effect of Phentermine?